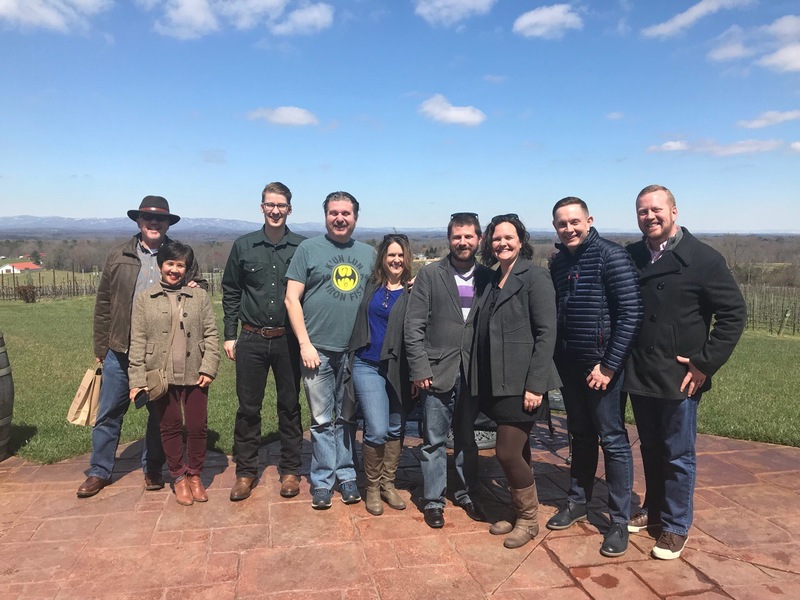 Prior to the first ever #NCWine Bloggers Summit, Thomas Salley of Raffaldini Vineyards offered to host a behind the scenes tour and tasting for bloggers who were attending the event. We graciously accepted Thomas’ offer. This led to additional tastings that day in the Swan Creek AVA. Our Raffaldini tour began on a cold Sunday morning at Raffaldini’s winery. There was a bit of snow on the ground from the night before. The mountains of the Blue Ridge were covered in snow. Thomas walked us through some of the history of the estate. The site was an abandoned farm and was one of around 60 sites looked at by the Raffaldini family during their search for vineyard land. The data collected from scouting the land was used in the case for the creation of the Swan Creek AVA. The estate includes 120 acres with about 36 currently under vine. Over 30 different varieties have been planted over the year. The current estate grapes are Vermentino, Montepulciano, Sangiovese, Sagrantino, Petit Verdot and Nero D’Avola. It was appropriate that our tour began outside of the Fruttaio Grande. Raffaldini’s is known for the Appassimento process for drying fruit to concentrate flavors. This leads to more complex and structured wines. The racks used for drying were self made and each holds about 5 pounds of grapes. The grapes are laid in a single layer. The room is pre-heated to 85 Degrees with about 20% humidity. Four to five days of drying removes about 30% of water from the fruit. In a typical year, around half of the harvest is dried. Raffaldini is one of the largest winery dryer of fruit in the US. Raffaldini also uses a sorting table to sort the fruit harvested. This helps remove green berry and other undesirable items. Production at Raffaldini is around 6500 cases per year. Raffaldini is one of the first wineries in the state to us a large oak fermenter. Currently grapes/juice spend about 30 days in the fermenter before moving to a barrel. Eventually this will change as barrels are phased out for the more cost effective oak fermenter. 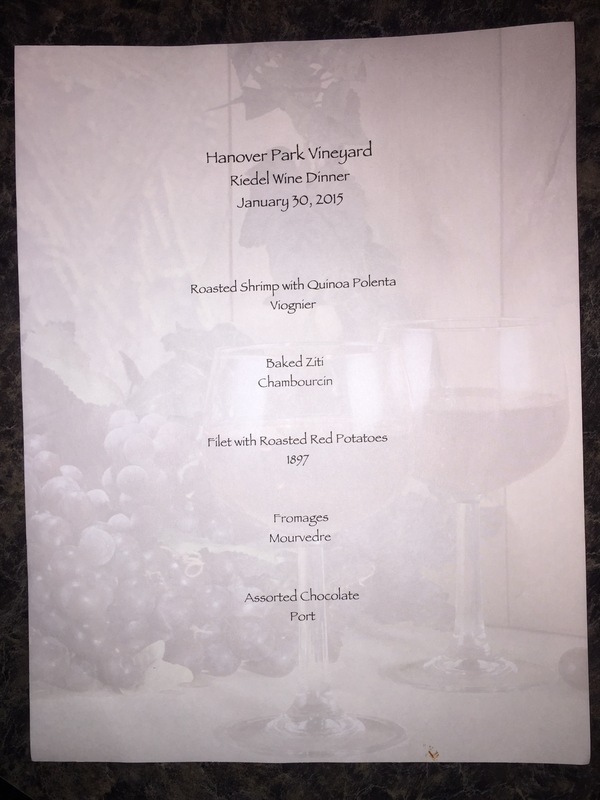 After all of this information, it was time to taste wine! The first sample was the base wine for Raffaldini’s upcoming sparkling wine, Auguri (Cheers/Best Wishes in Italian). This wine will be made in the traditional method, but it will use encapsulated yeast yeast during the second fermentation. This means the traditional riddling method will not be required. This wine is set to be released in August, 2018. We then moved to the barrel room. We first visiting the larger room and then moved to a second room to finish our tastings. We sampled 2017 Sagrantino with a bit of Nero D’Avola which had big gripping tannins. Next was a co-fermented 2017 Petit Verdot and Montepulciano which was inky and dark as well as tannic. Finally, we tasting a 2017 appassimento Petit Verdot. It was stunning already! Dark fig, cocoa and tart blueberry were the flavors. We ended the winery portion of the visit with a look at the bottling line. Then we moved to the villa. We made a quick visit out to the edge of the vineyard for a discussion of growing degree days and soil types. Growing degree days is a measure that predicts when fruit will be ripe. Raffaldini practices leaf pulling after bloom to provide as much sunlight for the grapes as possible. This is common throughout bunch grape growers in the state. Finally, we took a look at rocks in the vineyard. The soil consists of schist mica and granite with a loam topsoil. This is ideal for grape growing. We concluded our visit with a private lunch and a tasting of current releases in the upstairs of the villa. We want to thank Thomas and the whole Raffaldini team for hosting our group and providing this in depth tour and tasting. It was much appreciated! Be sure to go visit Raffaldini and see for yourself!